Creating a playground is certainly not a child's play. But if you take the right path and implement right actions, you would definitely be able to create a wonderful park for kids. Here are certain things you should think upon before designing the playground. The prime motive of building a playground is to provide unlimited fun to kids. 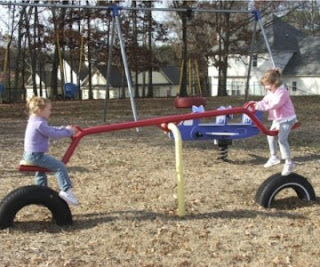 For this, you need to install different types of play sets in the playground. Decide how much you want to spend on it and start searching for playground equipment, especially built for commercial use. While surfing the internet, you will find various stores selling a wide variety of play sets such as dome climbers, slides, see-saws, slides, swing set, play houses and the like. Before selecting any attractive play equipment, make sure these are designed using finest quality raw materials. Toddlers and school goers cannot play on same playground equipment as certain provisions like height, complexity etc. are taken into consideration while designing play sets for them. It is your job to label the equipment you install in the playground, whether it is a playhouse or a slide, to remove the scope of any unforeseen accident. You can guide people through signage or fences. As per the recently adopted revision to American with Disabilities Act (ADA) Standards, you are now required to build an ADA compliant playground. Therefore, you must design the ground, which can be easily accessed by kids or parents with special abilities. Make sure you install ADA compliant slides, swings sets and see saws for children.